The Region Centre Val de Loire is geographically closed to the French Capital; it offers a preserved historical and cultural heritage that welcomes 9 million tourists every year, attracted by lifestyle and cultural events (Printemps de Bourges, Festival de Loire…). 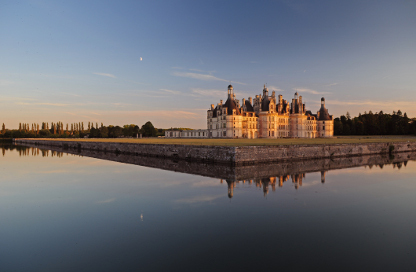 The Region is well-known for the Castles of the Loire Valley and major listed monuments (Cathedral of Chartres, Château de Chambord). The region has the National’s second largest surface dedicated to agriculture (60% of its territory). The Loire Valley is the France’s third largest wine-growing region and France’s leading vineyard for still white wines (Saumur, Chinon, Sancerre). Last but not least, Centre Val de Loire has a world-renowned gastronomic heritage with 5 PDO cheeses. The Region has identified five different areas for its smart specialization strategy (S3), included technologies’ energy efficiency for buildings, environment metrology and energy storage. The same methodology (the Entrepreneurial discovery process) has been used for the identification of priorities for the EIP AGRI within the rural development programme (RDP). The Region has a status of an observer in the ERIAFF network. It follows ERIAFF’s activities through the Regional Brussels Office, the Unit of Agriculture and Forestry but also, through the regional innovation agency “Dev’Up”.